In this bracelet the central black cowhide band features a Kiss or cross, flanked by silver and black beads. Above and beneath, two plaited bands form a dramatic contrast. 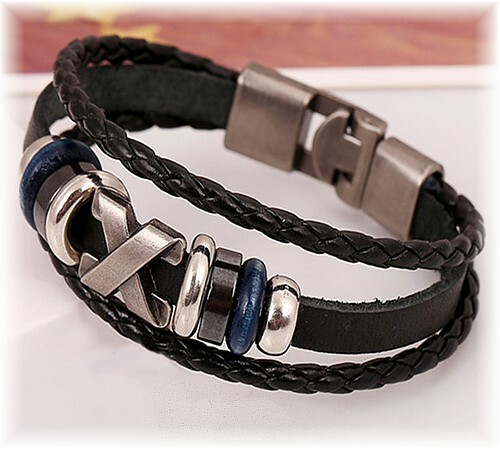 This bracelet is around 20cm/8" and is not adjustable.